Hotel Buena Vista offers great value in a picturesque mountain setting that is conveniently close to the San José international airport. The atmosphere is that of relaxed tranquility at an altitude of 4200 feet above the noise and distractions of the city. 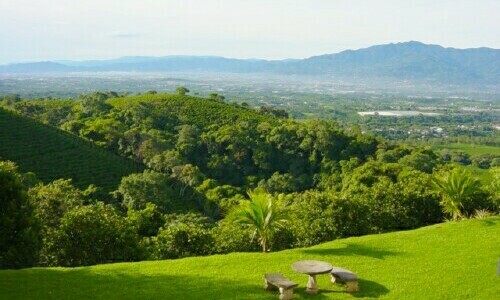 The views are breathtaking, looking out over the central valley and San José, as well volcanoes Irazú, Barva, and Poás. The temperatures year round approximate 80 degrees during the day and low 60s at night. Neither heat nor air is required and mosquitoes are a thing of the lower elevations. 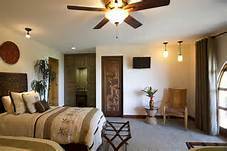 This inn-like hotel has 25 rooms: 10 standard, 12 superior, and 3 junior suites; all equipped with color T.V., private bath, 2 queen size beds, carpet, and hot water. Buena Vista offers the Quetzal Room restaurant for fine dining as well as a cozy bar and gift shop to please the most discriminating taste. An outdoor pool with scenic views of the central valley and surrounding coffee plantations is available for your enjoyment. Tourist information and information regarding Costa Rican life and customs are provided. Transfers from San Jose’s Juan Santamaría International Airport to Hotel Buena Vista are $30 each way for a minivan with a capacity of up to 9 passengers. o 9 passengers.